We’re hooking up with Sally’s Cereal to bring you their yummiest offerings and help you create your very own DIY breakfast table at home! 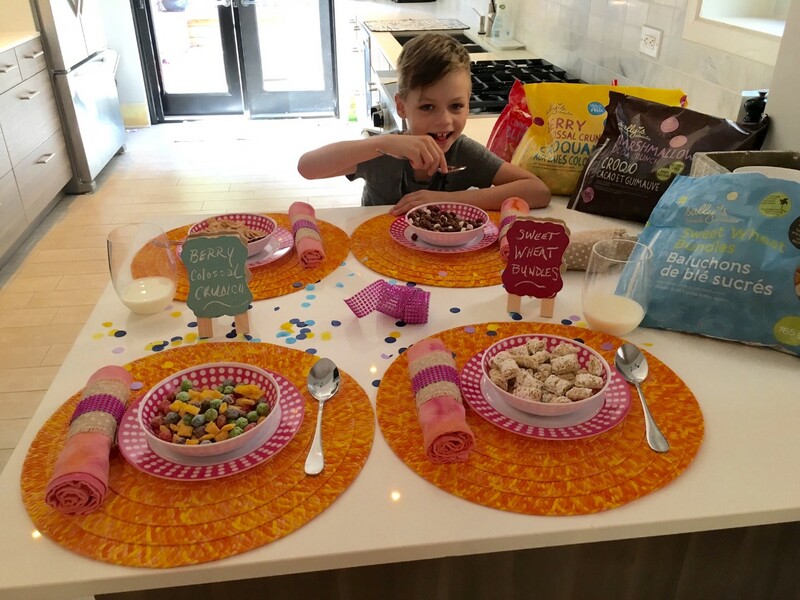 You could win $100 worth of Sally’s Cereal product, plus colourful breakfast table supplies and a $50 gift card to Walmart—just what you need to create your own fun, themed breakfast table. Contest closes on September 1st, 2016. Please read the rules and regulations before entering. This contest was sponsored by Sally’s Cereal.
. Wow, prize cereal is fab. & splendid. 2 fingers snap. It is tight, fly & off the chain. Thank you for the awesomeness, the contest, and generosity. 🙂 Pick me. My granddaughter’s love Sally’s Cereal! Thank you for the chance to win this awesome prize.